In my opinion there are only a few MMORPGs with an interesting story line, and one of these are Dofus and Wakfu. Wakfu is a game that takes place in the same world of Dofus, it is around a thousand years after the start of the age of Dofus and in Wakfu you will be able to choose one of the few roles to steer the current world into the right direction. Be a fighter, a politician or just a merchant, anything is possible in Wakfu, a game that makes you feel more like a citizen of a larger empire than just a hero. 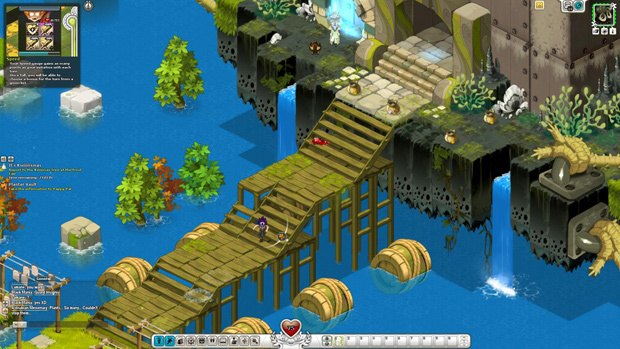 Wakfu is a turn-based Massively Multiplayer Online Roleplaying Game. And even though I have never been a big fan of turn based games, Wakfu does this different than others. But before I go more into the intricacies of combat let’s start with the basics. 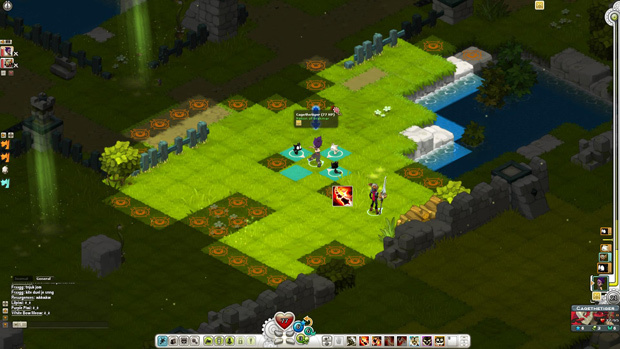 In Wakfu you can be anything you imagine. There are many roles that you can fulfill and that’s what makes the world feel live more than any other MMORPG. You aren’t really bound to do one job; you can just choose what kind of path you take. When you begin playing this might be a bit overwhelming, so a starter class is available to take you through the tutorial. Once you have your footing you’ll be able to decide on what your actual class will be. This system provides an nice easy learning slope into the more advanced mechanics, and believe me you will want to learn all you can because Wakfu is a cut apart from the typical MMORPG mold. When you are done with the tutorial or you decided to skip it, you can take the plunge into one of fifteen available classes. Each one of these classes is specialized into something, either in being a specialized melee fighter or one that prefers to stay at a range to kill its enemies. Unfortunately there is not a lot of information about these classes and I had no idea what to choose when picking one. For as detailed as their tutorial is, their class demo is quite limited and I ended up wasting time testing three classes before finding one that matched my playstyle. When you have finally decided on a class and done a couple of quests you can also choose a nation. And these aren’t just normal nations that you can find in other MMORPGs. 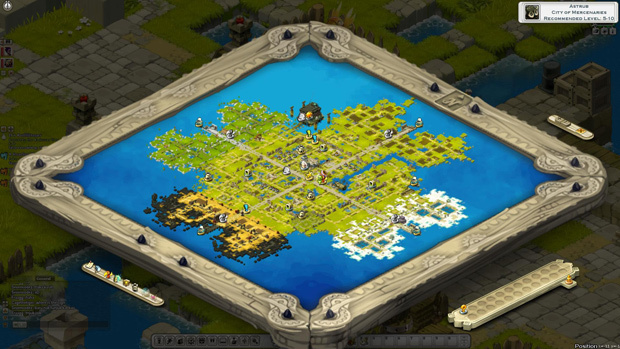 Instead the nations of Wakfu are led by actual players like yourself. When you have become a citizen you can climb up the ladder and actually get a higher job in the ranks of your nation. You can even become a political figure in Wakfu, and before you know it you are the new Obama of your nation. This game is all about strategy; you really have to know what you are doing when picking a fight. Fighting is different, since the combat is turn-based you will have to think through your strategy out ahead of time if you are going to overcome a more powerful leveled opponent. Before the battle starts you are able to pick between a few available positions for your opening move. Some of these are closer to your enemy while others offer flanking opportunities, so consider your class’ specialization and plan accordingly. Even during the tutorial I found myself fighting monsters that were way stronger than me and I actually had to redo the fight several times just to get a better outcome. And when you level up you get to pick what kind of way you want your character to build towards. This is done through a skill point system that offers you the freedom to pump various stats. Each class also has elemental spells, fifteen in total, and when you are new you are given one spell of three or four elements. The choice is completely yours and serves to be a primary distinguishing factor from other players using your class. All the elementals define your character by giving you additional range or more powerful attacks. The game is not all about fighting monsters, getting stronger and climbing the ladder. Wakfu encourages you to play with others. Every fight you participate in, you can get a friend or NPCs to join you. Besides becoming a citizen and trying to get a little more influence and power in your nation, you can also earn citizen points. By earning more points you get better ranks inside the nation. After accumulating enough points, you can apply to be a candidate for the governor position. You can also join a clan and participate in crafting and politics with your clans in the ecosystem. In the ecosystem you will have to manage the number of monsters, plants and even the weather in each territory. You have a responsibility and really have to work together with other people to make your nation the best place to live in. Together with other people in your nation you have to decide the evolution. Or take the place of the Joker and set up with your band of villains to see the world burn. 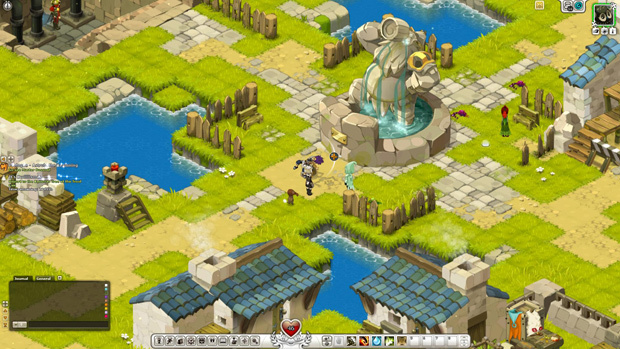 Wakfu isn’t just a game, it is a second life you are able to live. I always love to see when games like Wakfu encourages player in much more social ways to play together. It isn’t only fighting together, you actually have to rule the nation together with other people. Have you ever wanted to run for Governer, and decide the policies that structure the rules of your gaming nation? Wakfu is one of the few titles on the market offering the systems to do this. With a decent sized group of friends backing you, you can have a major influence on even the ecosystem and status of your server. I enjoyed playing this game, and actually fell in love with the turn-based concept of Wakfu. I will definitely play the game more and try to get higher on the ladder. If you like turn-based fighting, and the whole social concept of Wakfu then you should definitely try out the game. Beginning January 14th Star Conflict players can add destroyers to their offensive capabilities.